These little morsels have a summeriness that belies the current state of things in Hong Kong. Earlier this week we took a bit of a battering from Tropical Storm Vicente, which reached fabled T10 hurricane status overnight on Monday. Alas, if anyone were to ask me what a hurricane is like, I would be unable to answer. Yes, I slept through the whole thing. Bad weather here always comes with the exciting possibility of being sent home from work. A bad storm might become a T1, and then worsen to a T3. When it reaches T8, schools and businesses close and we are sent to barricade ourselves in at home. (I didn’t even know there was anything higher than T8, until I woke up on Tuesday morning to find we’d progressed to T9 then T10.) As the weather worsens, I would estimate that most people in the city are refreshing the Hong Kong Observatory page looking for references to the T8 signal being hoisted and an early finish from work. As it turned out, I only got home about an hour earlier than usual on Monday evening, and the warning was lifted before my Tuesday classes started, so I didn’t benefit massively from the bad weather. Next time I’d like a more considerate tropical storm which would hit on my busiest day at school, please. Even though I slept through the main event, the weather was still fairly horrific in the build up. Battling home was not much fun- the rain was absolutely hammering down, but the wind was so strong that umbrellas were more of a hindrance than a help. But then, coming in to a cosy home and settling in with a well-stocked kitchen, it all felt much more enjoyable. The weather has remained fairly gloomy all week, with intense downpours and black clouds. Hopefully this weekend will be a turning point and we’ll be back to sunny skies again soon, in which case I’ll have a plate of these on hand. 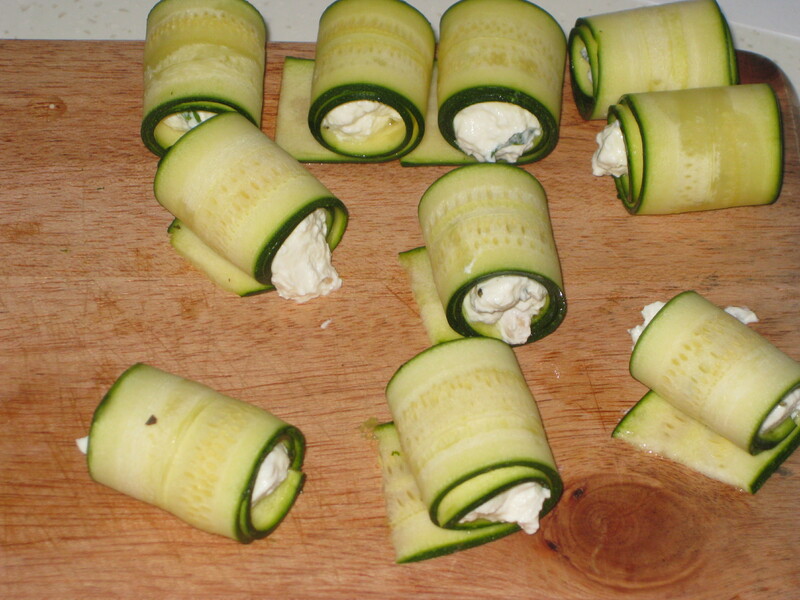 I made them as pre-dinner nibbles, and they were really light and tasty. The recipe was passed on to me by my boss, who made them on a cooking course in Italy. 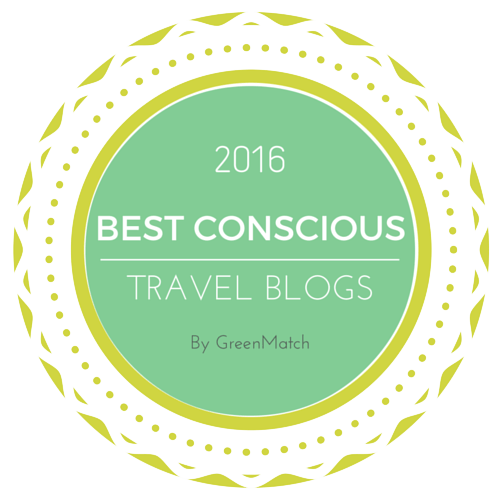 Ideal for escaping from the Hong Kong gloom and imagining myself wining and dining by Lake Como again! 1. 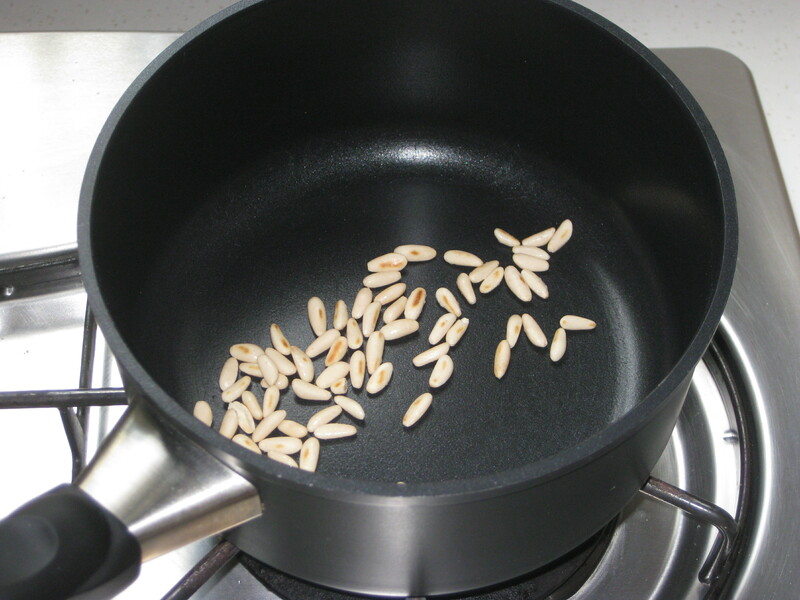 Place a pan over a gentle heat. When it’s warm, add the pine nuts and brown them slightly. Set aside to cool down. 2. 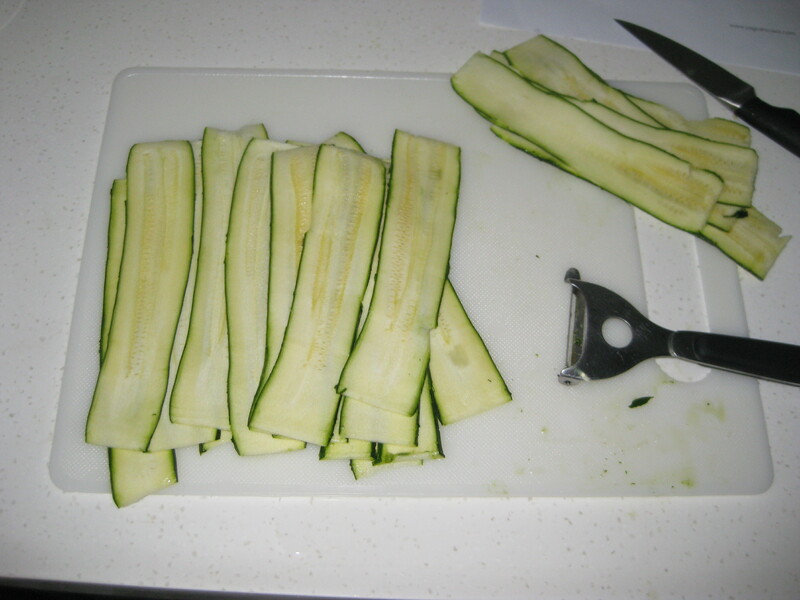 Use a potato peeler to slice the courgette really thinly – I had to discard the outside edges and it took a few goes to get my slices consistent enough, but it was actually much easier than I’d expected. 3. 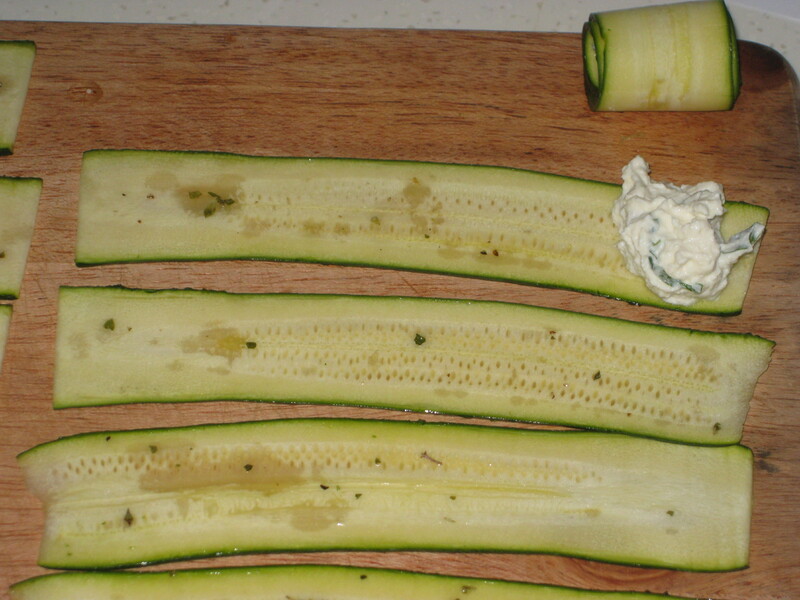 In a ramekin, mix together the olive oil, oregano and seasoning. 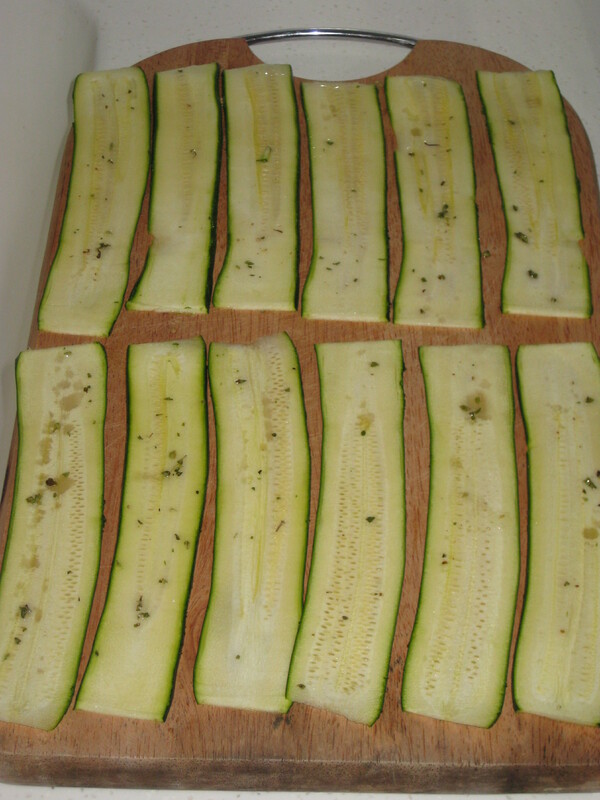 Brush over the courgette slices and set aside for ten minutes. 4. 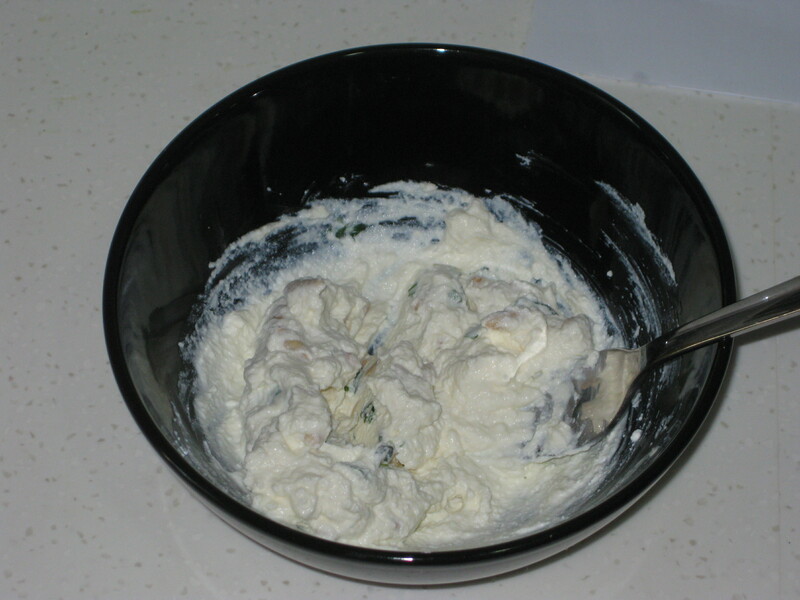 In a bowl, mix together the ricotta, lemon juice, basil leaves and pine nuts. 5. 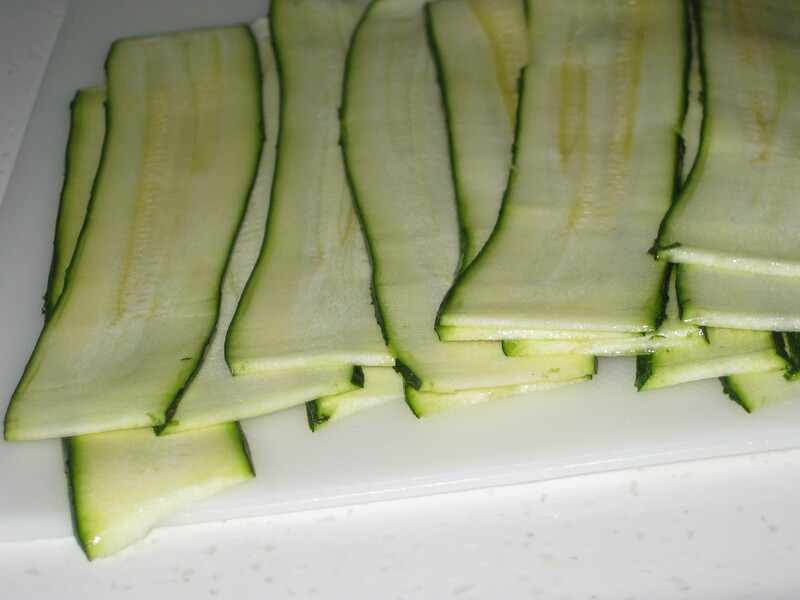 Put your courgette strips on a chopping board. 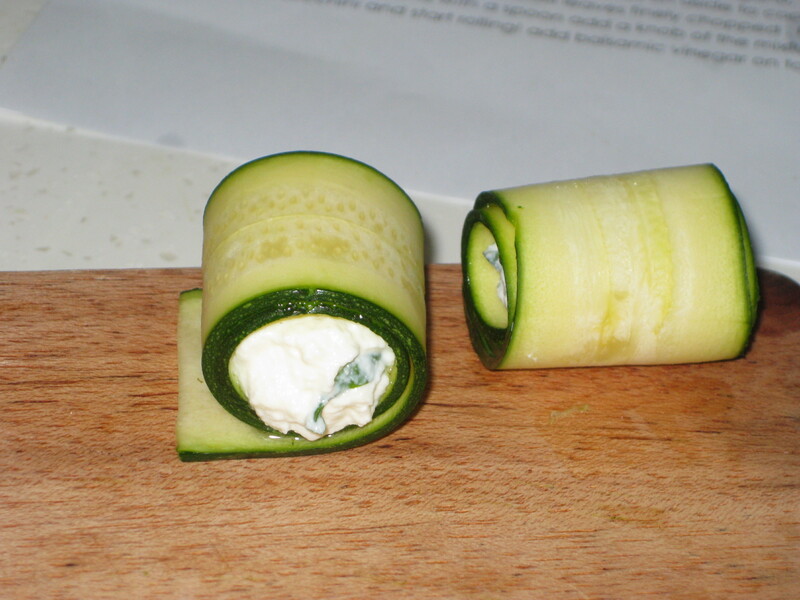 Place a dollop of ricotta mix at one end and roll them up carefully. Try to secure the seal underneath. Continue with the rest of the mix. 6. Keep them chilled in the fridge until ready to serve – I propped mine up against each other to try and keep the rolls sealed and it worked a treat. 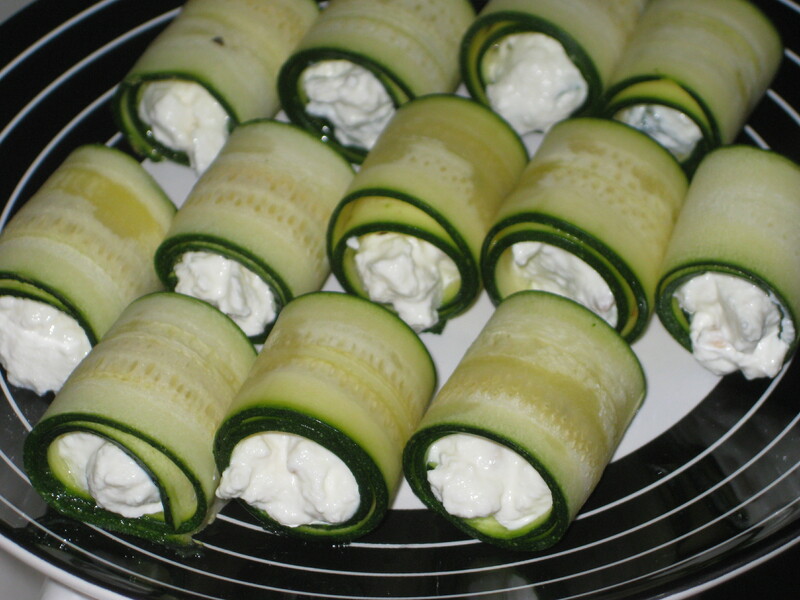 This entry was posted in Vegetarian Recipes and tagged courgette ricotta rolls, courgette rolls, Italian appetiser, ricotta, vegetarian dinner party, vegetarian party food. Bookmark the permalink.